12in. 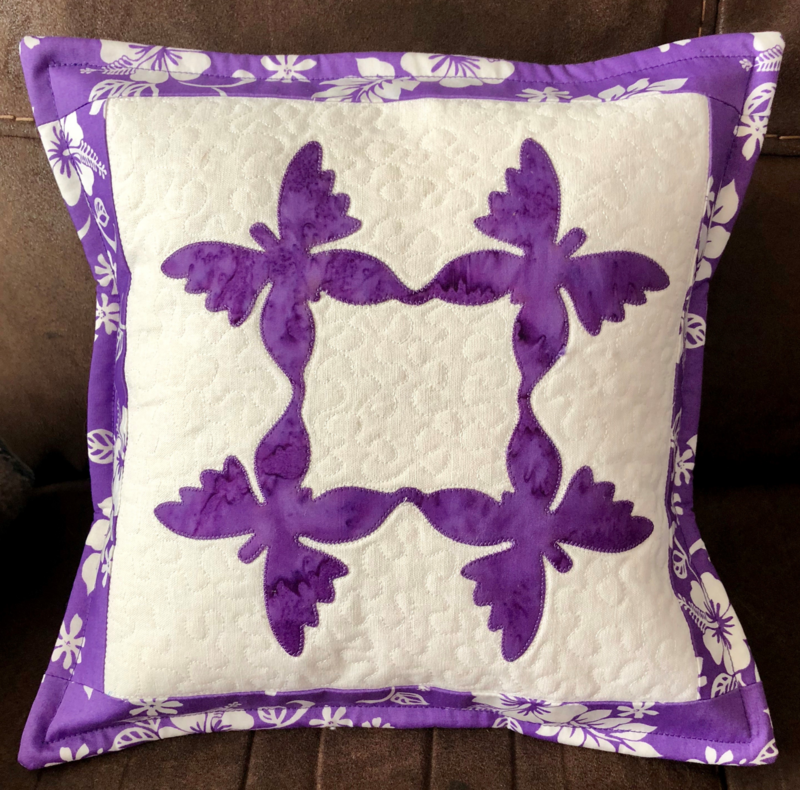 Butterfly Pillow Kit. Kit includes 8in. butterfly Hawaiian applique and Hawaiian print fabrics for borders and back. Pattern included.